School System:Delaware Csd 2103 Del Co.
SchoolsClick map icons below to view information for schools near 58 Birch Row Drive Delaware, OH 43015. Listing provided courtesy of Price Realty. Home for sale at 58 Birch Row Drive Delaware, OH 43015. Description: The home at 58 Birch Row Drive Delaware, OH 43015 with the MLS Number 219003402 is currently listed at $32,000 and has been on the Delaware market for 70 days. 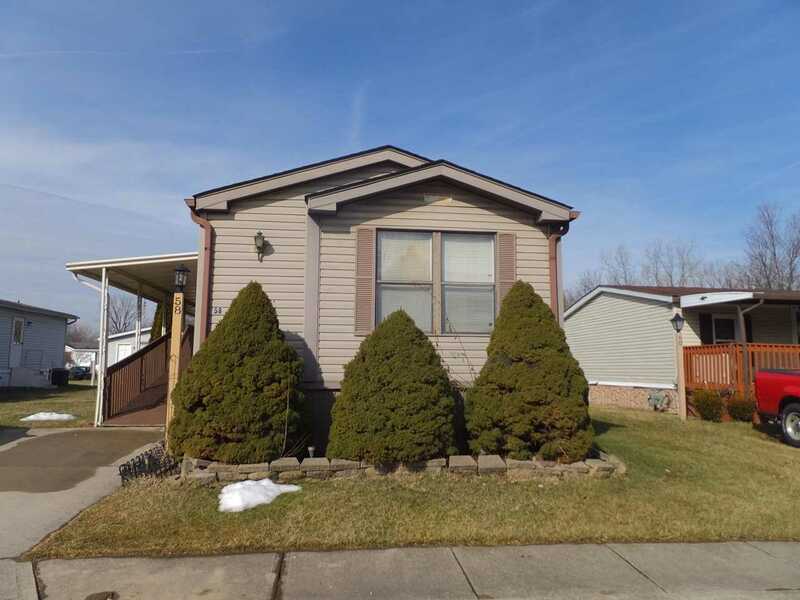 You are viewing the MLS property details of the home for sale at 58 Birch Row Drive Delaware, OH 43015, which is located in the Ravines Mhp subdivision, includes 2 bedrooms and 2 bathrooms, and has approximately 1120 sq.ft. of living area.